30 day blog challenge day 15. Significant childhood memories. I have quite a few significant memories from my childhood but there is one that stands out the most and to this day brings a tear to my eye. When I was in the fourth grade I was at a point in my life where i believed the me who I truly was just wasn’t good enough. I wasn’t able to make many friends or talk to any girls. All I had was a bunch of grown women saying, “oh he’s so handsome” accompanied by a dreadful pinch on the cheek. So I decided to grow my hair out braid it in corn rows and get an ear ring. To my surprise I became very popular because of it. Girls liked my hair and ear ring and thought it was cool and guys began to think I was “cool” as well. (I was one of about 8 black kids in my elementary school so the hairstyle was very different to the other children). The new hairstyle and ear ring wasn’t the only thing I changed though. I began to channel my anger and become a bit of a bad boy. I’ve always had manners so I didn’t say anything to offend adults but around the kids my age, I became a bit of a potty mouth tough guy. I got into my first fight and beat up a kid for spitting on my pants and from then on was known as a threat to the other kids at the school. Word never got back home to my mom because I was discreet about it and it helped that all of the teachers loved me. One weekend my mother took my sister and I to my grandmother’s house to spend the weekend there. My aunt and her two kids lived with my grandmother at the time so we would spend a lot of time there playing with my cousins. One day after a game of football with neighborhood friends the majority wanted to play another game except for one kid named Lance. We needed Lance to make even teams so we tried to convince him to play one more game. He was adamant about his lack of interest in another game which annoyed me to the point where I decided to pick up the football and throw it at his head. I thought my actions would get me praise but instead I got a one way ticket to time out! My cousins called for my aunt and told on me (bunch of snitches hahaha). 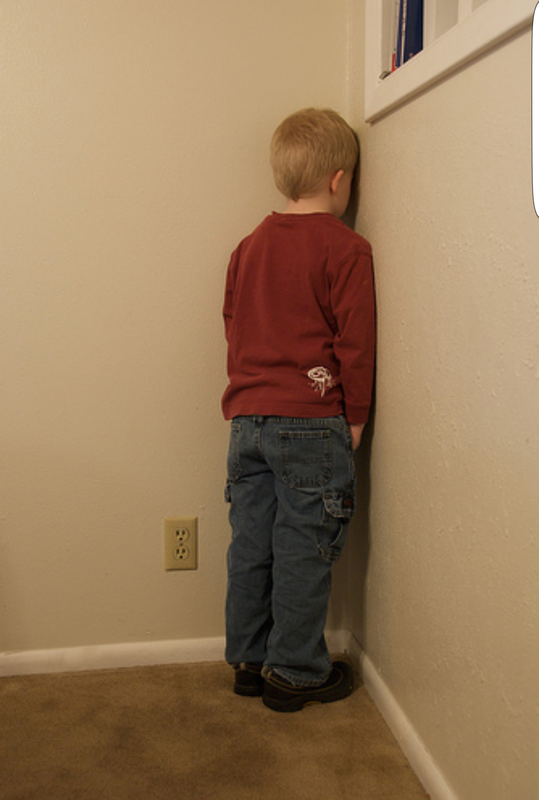 After hearing what I had done she told me to grab a chair and sit in the corner until she told me I could get up. My aunt saw this very unsettling look on my face and decided to pull up a chair and talk to me. I’m getting teary eyed as I write this because truly this was a defining moment in my life that changed EVERYTHING and to this day I still live by it. She looks me in my face and says, “Ju-boy (her nickname for me) What is this? The braids, the ear ring, the attitude this isn’t you! Your trying to be like them (points to the kids outside) and I understand why, but you shouldn’t want to be like that. I wouldn’t have this conversation with any of my other nieces or nephews but you, you’re different. You are special and I love you so much. Do you know that? You never have to change or be different I will always love you. Your a good boy and your heart is special. I didn’t make you come in here to punish you although I don’t like what you did. I brought you in here because I wanted tell you that you don’t have to be like everyone else.” After saying this she handed me $10 and told me to go cut off the braids. I still didn’t understand what she was trying to say but I thanked her again and continued the next few years struggling with trying to fit in. Until I got to high-school and met my beautiful wife. Who through her originality put everything that my aunt taught me into perspective. My aunt passed away from throat cancer few years after giving me the advice she gave to me. I never got to express how special her words were to me because I just didn’t understand until it was too late. My heart is eased knowing that she gave her life to Jesus about a year before she passed awat, so I know that we will meet again and talk about how her advice became the pinnacle of who I am today. It is the reason why I made this blog, the reason why I married my wife at a young age, the reason I was able to fully devote myself to God when none of my friends and barely any of my family does. It’s the reason for my courage and the reason why I’m able to say I am me! Thank you Dita for the great memory. I love and miss you so much with all my heart! I’m trying my best to live up to your words and make you proud 😉! Also check out Matthew 5 the whole chapter hahaha it’s all about being different. 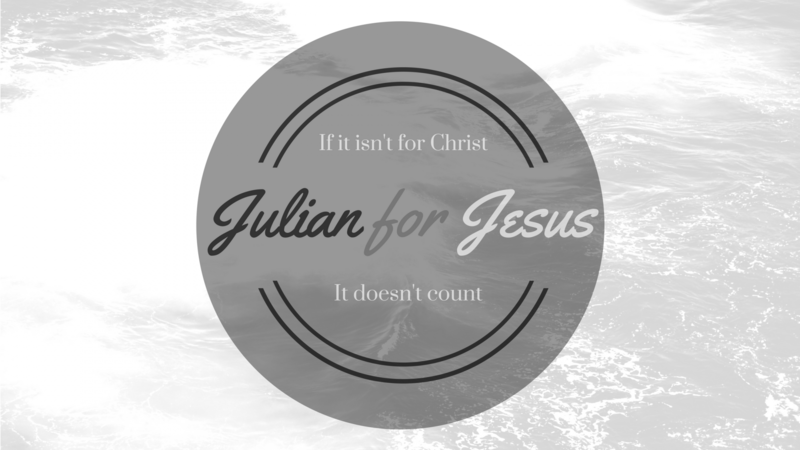 Thanks Julian — I love the little things that put us on the right path to God. I wonder if we are going to get to heaven and see all of the special moments like this one that added up to our life in Jesus. That would be great. Yeah I know brother! I can’t wait to find out!!! Your aunt sounds like she was a very wise person! I’m glad to hear that she accepted Christ before she passed, I think that’s always comforting to know when someone we care about dies. It’s not easy but we know we’ll see them again someday. You definitely should hahaha I definitely want to hear about that! Next Next post: 30 day blog challenge day 16. What do I collect?